Resilient, adjective: able to recoil or spring back into shape after bending, stretching, or being compressed. However you define it, we can tell you one thing about resilient flooring: it is more popular than ever before. Indianapolis resilient flooring store Kermans has been watching this flooring trend for years and we're not surprised that it is becoming one of the most popular floor choices for Central Indiana homeowners. One of the reasons that vinyl flooring has never really left the marketplace is because it's practically indestructible. 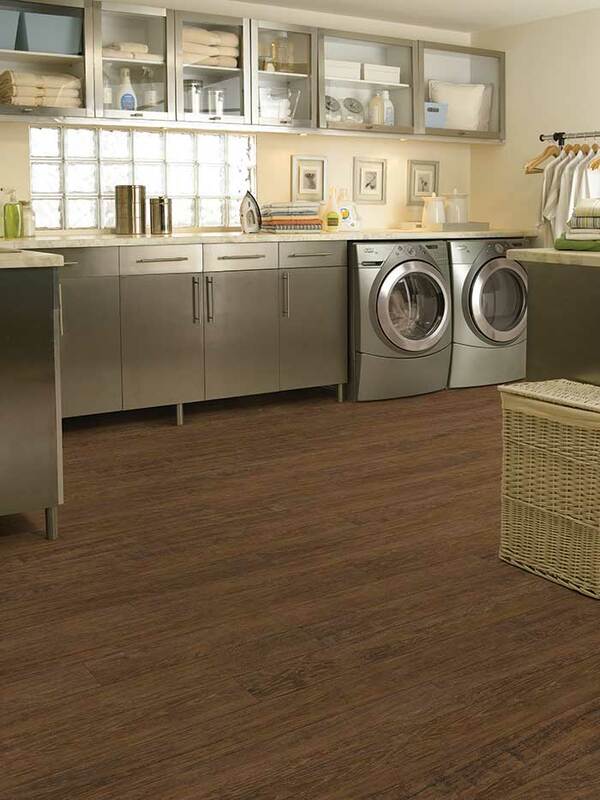 Luxury vinyl flooring takes all of those durable, long-lasting benefits and packages them in a new appearance that looks nothing like your grandma's kitchen floor. Resilient flooring - also known as luxury vinyl - stands up to foot traffic, pets, kids, spills and just about anything else you throw at it. Yes the magazine spread you saw with the glowing natural hardwood in the newly renovated kitchen is gorgeous. It's also out of reach for many homeowners. (And even if it isn't, hardwood and kitchens don't always work well together.) Enter resilient flooring! A full range of designs - including some that beautifully mimic natural hardwood - and all at a price that is much more friendly to your wallet. Looking for something that looks like tile but is a little warmer and more comfortable underfoot? Want a wood floor in your bathroom? Wish you could install a beautiful stone tile in your walk-out basement? Look at resilient flooring! Resilient floors come in a wide range of styles and designs - whether you're looking for something contemporary or classic, resilient floors have something for you. Maybe resilient flooring should be defined as: long-lasting, affordable, beautiful flooring! Want to learn more? Check out our website section all about resilient flooring. Then stop by our Indianapolis resilient flooring store to see for yourself!